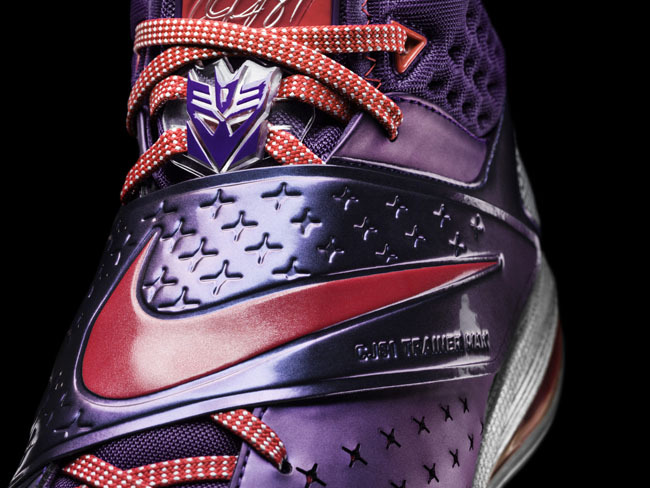 Check out which shoes are included, and what else the pack includes. 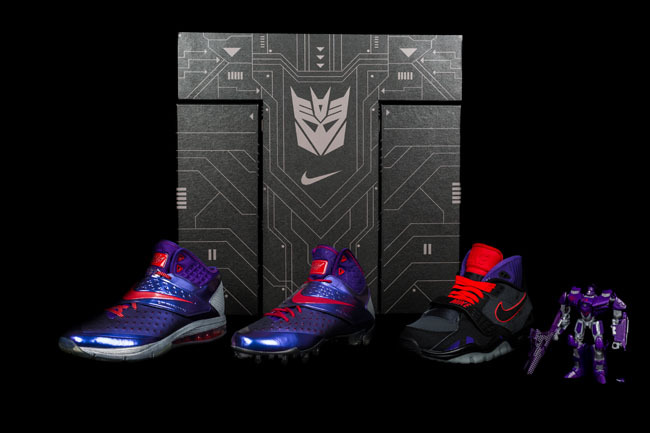 Nike and Hasbro have teamed up to honor Calvin Johnson be releasing a limited edition 3-shoe pack, which also includes an action figure. 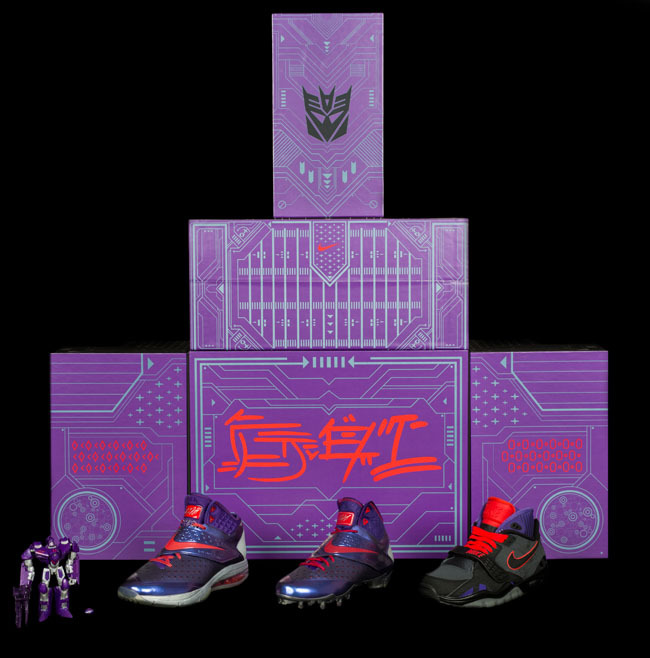 This marks the "first ever Hasbro TRANSFORMERS action figure designed for an athlete in conjunction with a shoe release," according to Nike, Inc.
Johnson is widely known for his MEGATRON nickname, which Nike things coincides perfectly with his game. 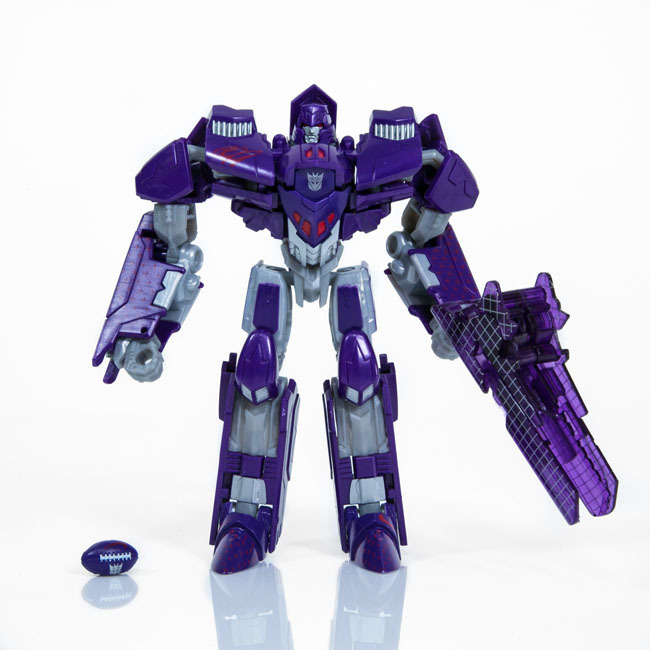 "Calvin Johnson, Jr. has redefined the wide-receiver position and become an un-guardable force with a powerful nickname - MEGATRON. 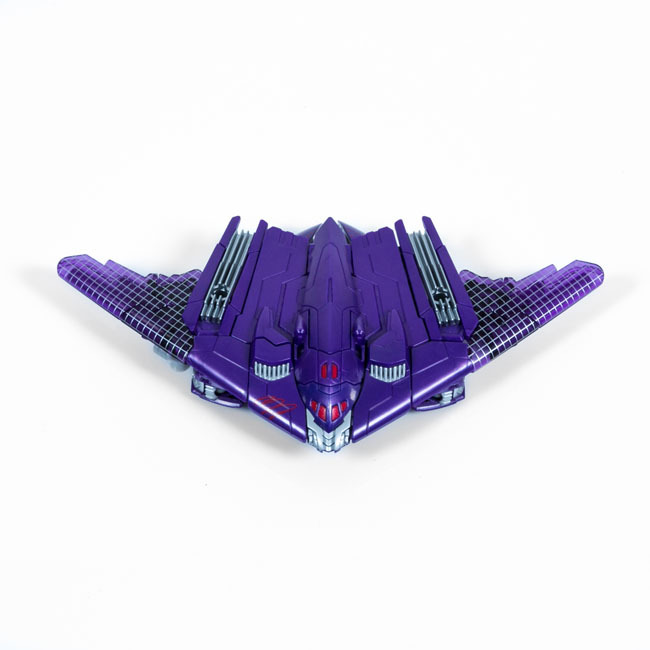 Like the fictional TRANSFORMERS DECEPTICON leader, Johnson taps into his superhuman-like skills to push the limits of his position, and the game, in a relentless quest for dominance." 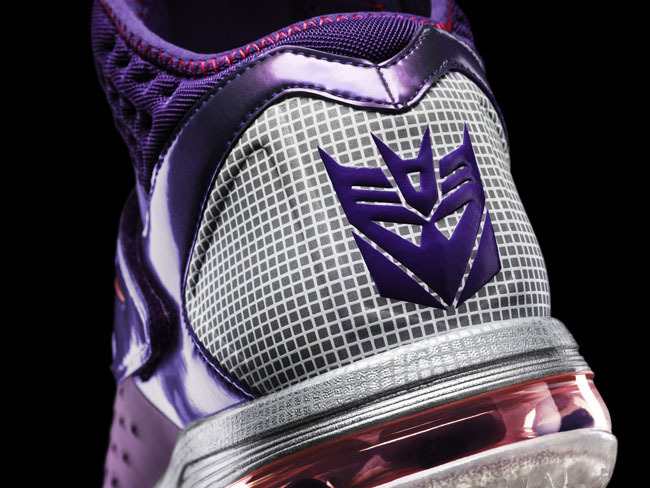 The first shoe, the CJ81 Trainer Max, features a purple upper, with red accents, and TRANSFORMERS detailing such as the grid pattern on the heel, and DECEPTICON logo on the tongue. 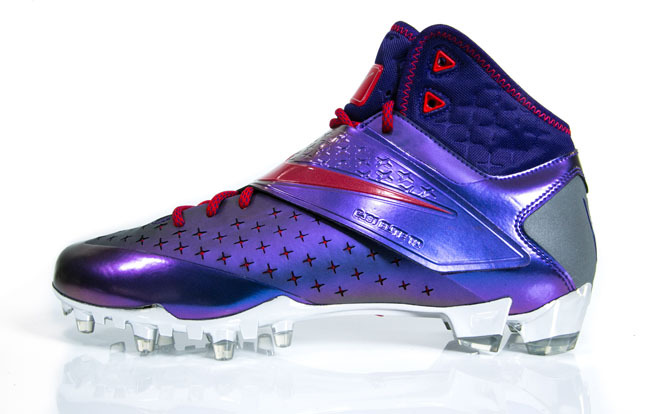 Beneath the strap, Johnson's favorite MEGATRON quote can be found: "Show no mercy." Next is a Megatron Nike Air Trainer SC II, which takes a more subtle route to detailing. 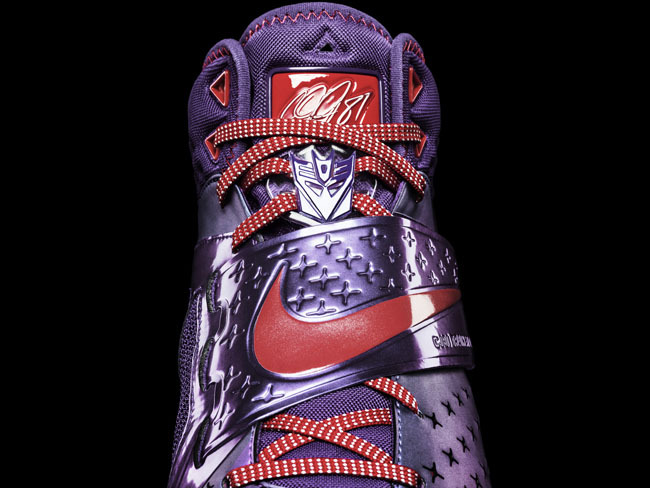 It features a tonal, yet reflective, circuit board graphic on the upper, and a glow-in-the-dark outrigger, as well as more obvious details like the DECEPTICON logo on the heel. 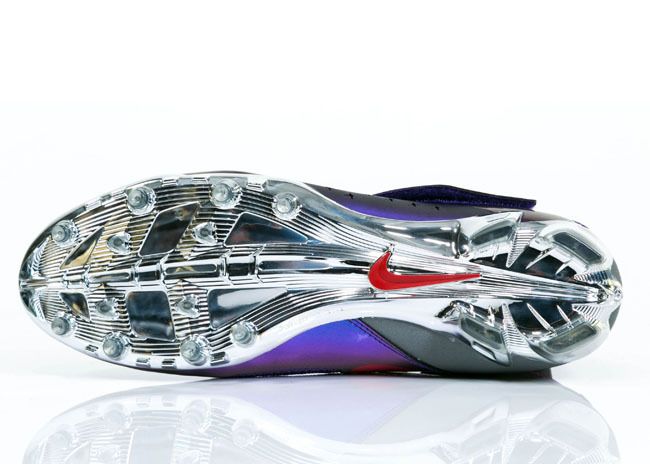 The final shoe of the pack is a a special edition of the Nike CJ81 Megatron Elite TD Cleat, in a colorway very similar to the CJ81 Trainer Max. 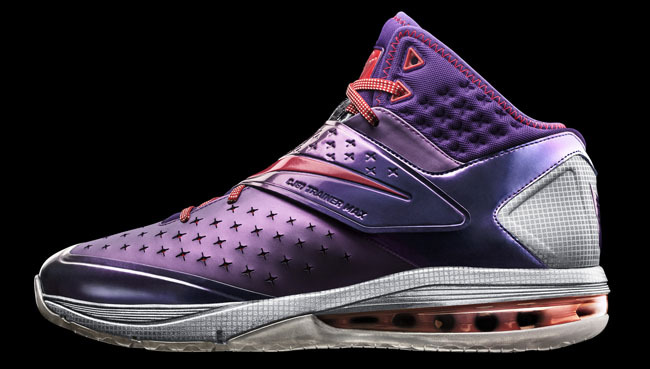 As previously mentioned, the pack doesn't stop at the shoes. 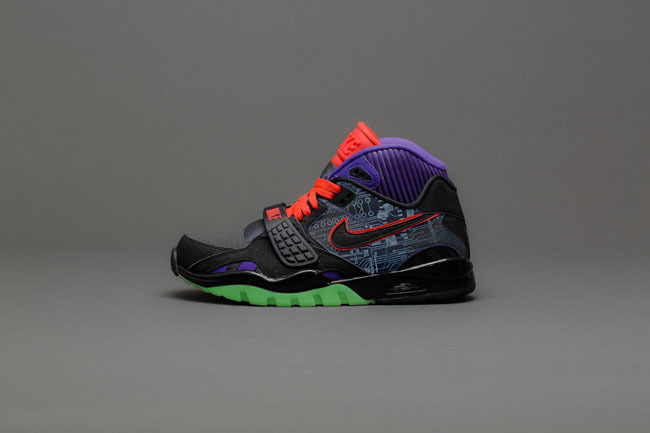 It also includes a five-inch action figure which mirrors the shoe's colorway, and featues detailing taken from the CJ81 Trainer Max, as well as Johnson's signature on the chest. 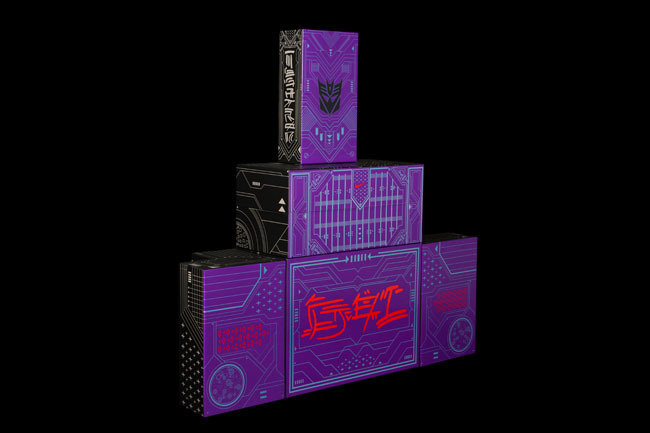 As for the release, "in honor of Johnson's number, 81 Megatron Rises Packs will release exclusively at 21 Mercer in NYC, select Nike Yardline doors, and Nike.com." 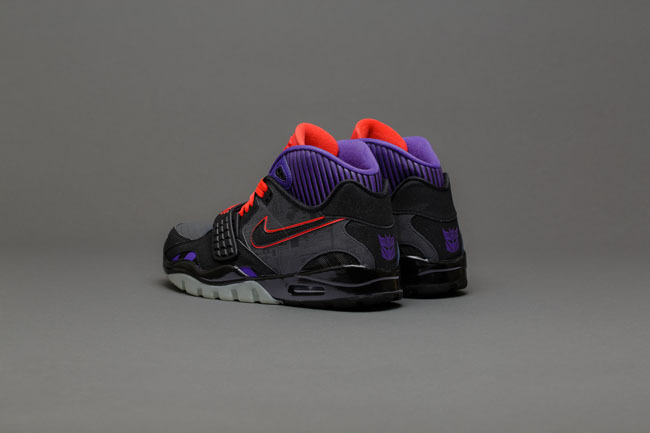 In addition, the CJ81 Megatron Trainer Max and the Megatron Nike Air Trainer SC II will be available individually at select Nike retail locations and at nike.com.